The more I think about stationery, the more I feel that this is all about love. Irrational, hard-to-explain devotion, even when you know all the faults of your particular object of affection. For example, I’ve held on to a few extras of my very favorite notebooks over the years, even though I know they may not make the cut anymore, not now. These notebooks are from Illums, a Scandinavian-themed interior-and-lifestyle brand in Japan. They are not stationers by any means; their shops feature furniture, kitchen and dinnerware items from brands like iittala, Bodum and Marimekko. They just happened to have a trolleyful of notebooks at one point, and I scooped up some and then went back for more. I was a Hi-Tec-C user at that point in my life, and the smooth white lined paper suited me perfectly (although I now feel, many years down the road, that the paper was just average). Looking at it now, I think what I liked best about the notebook was its thick cover. You could knock on it like a door. 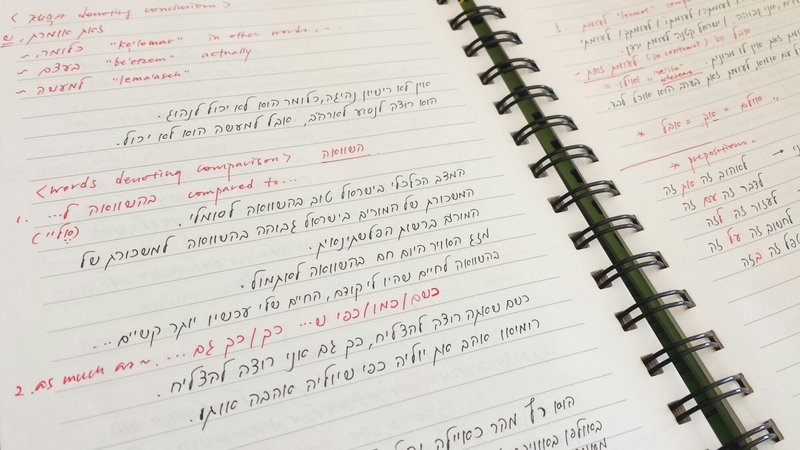 The average spiral-bound school notebook tends to feel somehow disposable, but this particular feature bestowed a sense of permanence on this A5-sized notebook, like you wouldn’t feel comfortable throwing this kind of thing away. 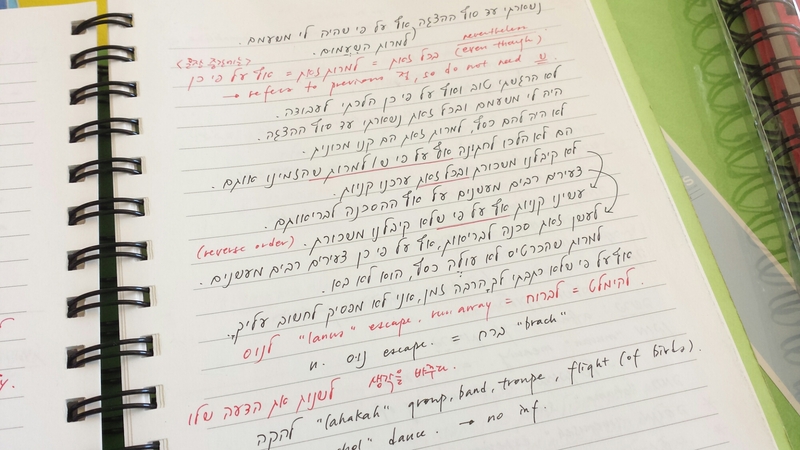 I used several as travel journals, one for transcribing literary quotes, and the rest for studying Hebrew. 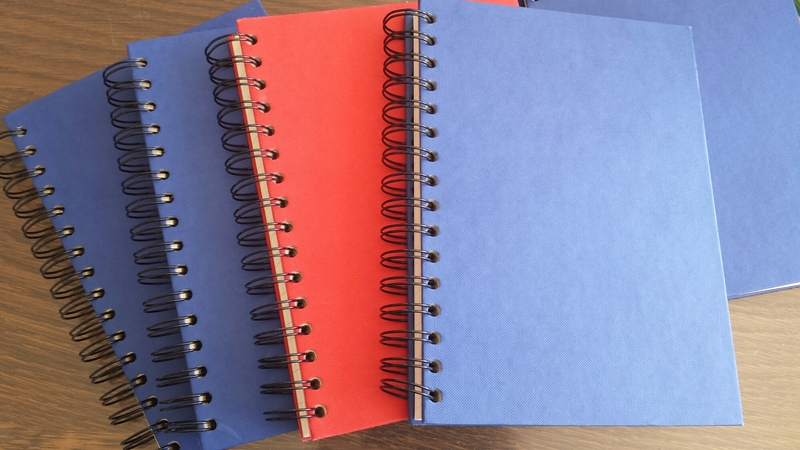 My second “special” notebook was from Semikolon with very similar features – A5, spiral-bound, with sturdy covers in pleasing solid colors. The paper was wonderful, a smooth but not overly coated cream-colored paper ruled in nut brown. The laid pattern was visible when you held the paper up to the light, but did not interfere with fountain pen nibs. I used these notebooks to record my son’s babyhood. I had such good memories of using this notebook that I was overjoyed to find this brand in Montreal. However, it had undergone a complete change of character! Granted, I didn’t know this brand that well (I bought these notebooks in a store in Yokohama, where they were displayed on their own, and didn’t get to have a look at the full range of products Semikolon offered at that time), but it seemed as if they had adopted a dusty-pastel color scheme centered on storage systems while I wasn’t looking. 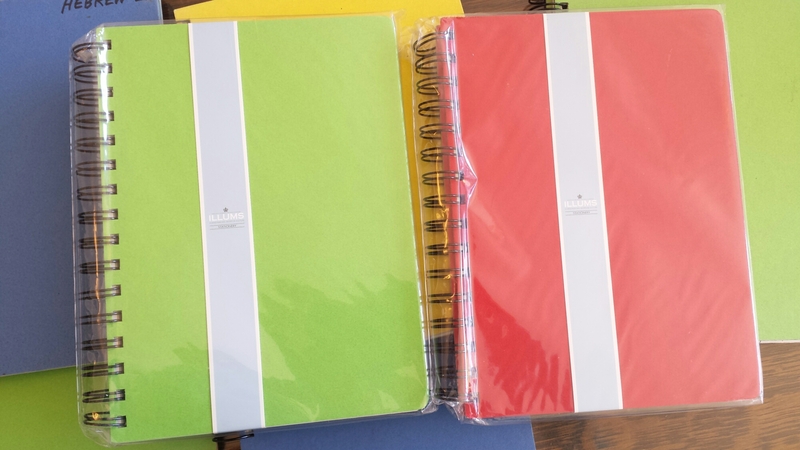 I bought a couple of the current offerings for old times’ sake – a Creativo to use as a planner, and another hardcover notebook for my son – but fell out of love quickly. The paper wasn’t the wonderful one that I knew, and all their notebooks, even bound ones, featured perforated pages, which baffled me. I mean, who wants to tear the pages off a bound notebook in hardcover? Isn’t permanence the main point for these kind of notebooks? I do hope that the notebook I loved lives on in some form and that I will be reunited with it someday. 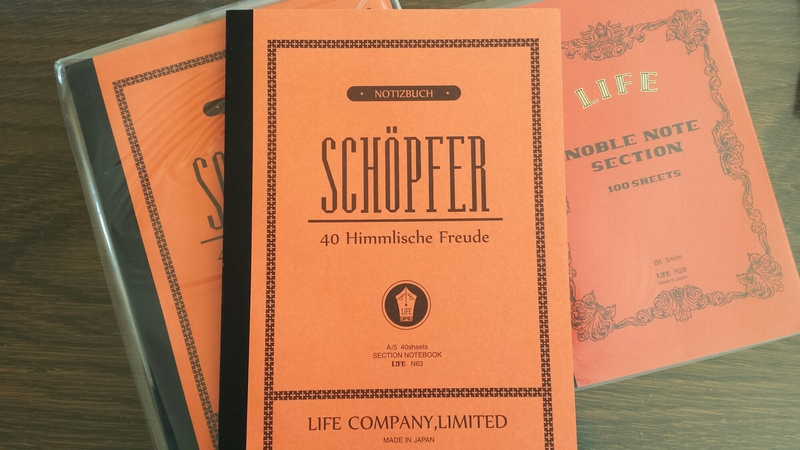 And now a couple of current favorites: the L!FE Schöpfer notebook, and the Maruman Mnemosyne, both in square rulings. 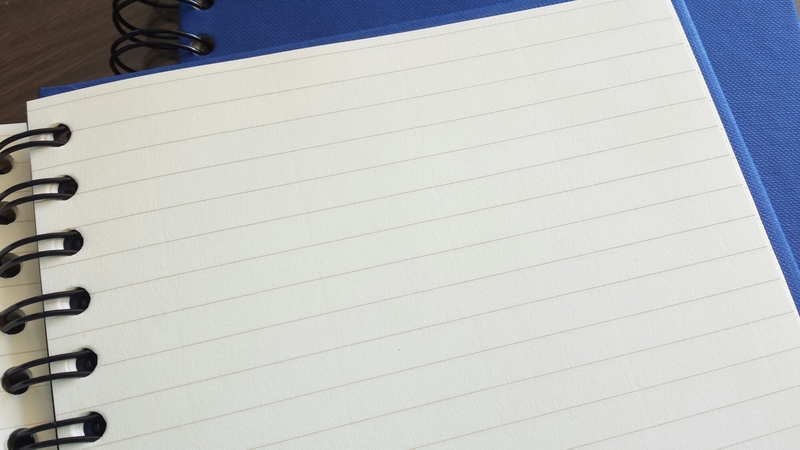 (One more favorite is the Nanami Seven Seas Writer notebook, which I’ve written about in a separate post.) 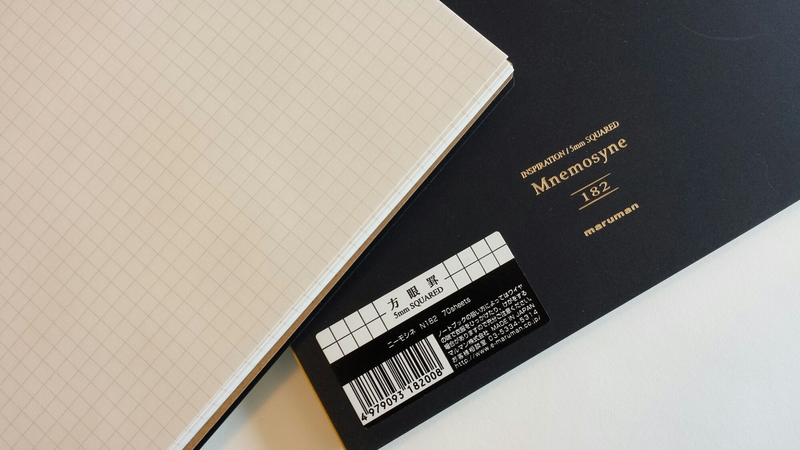 The Schöpfer notebook features velvety-smooth paper with an understated grid pattern; I love writing with fine Japanese nibs in them. 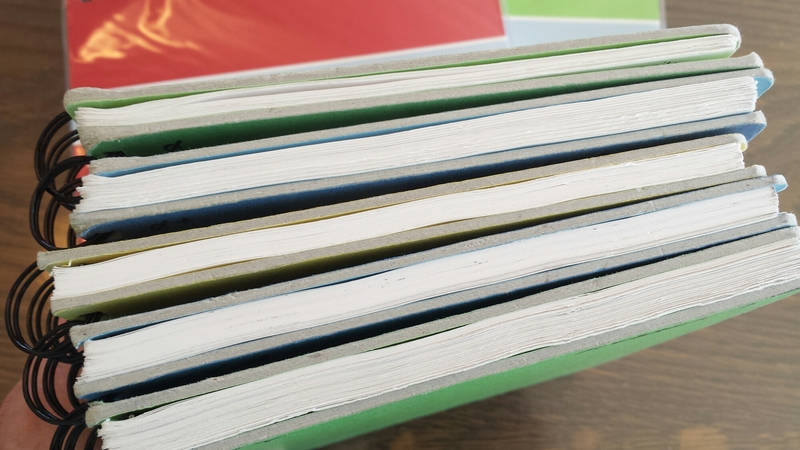 These are usually employed as vocabulary notebooks. The quality of the paper in the Noble Note on the right is supposedly superior, but I can never break out the Noble! It’s too intimidating! Must have a go someday. The Maruman Mnemosyne’s rulings are a bit unconventional (the back of the page is blank), and the perforations mean that I tend to tear a lot of pages out, so it mainly serves as a sort of deluxe doodle pad. pencil philosophy: wooden wisdom, product reviews & ephemera, etc.